Sydney Park Water Re-Use Project by Turf Design Studio and Environmental Partnership with Alluvium, Turpin + Crawford Studio and Dragonfly Environmental. 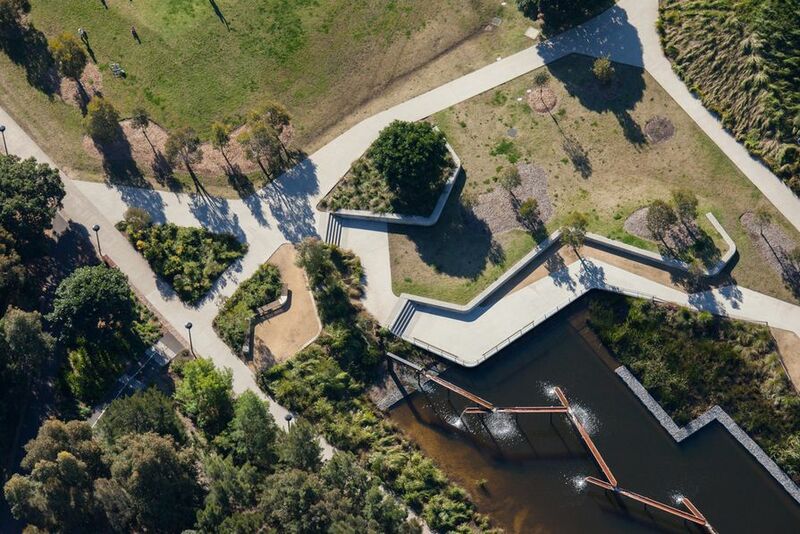 The Sydney Park Water Re-use Project demonstrates excellence in urban design through an integrated response that delivers a unique, dynamic and experiential urban space. 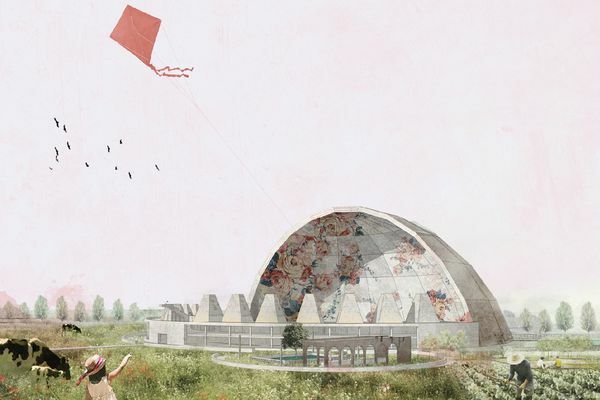 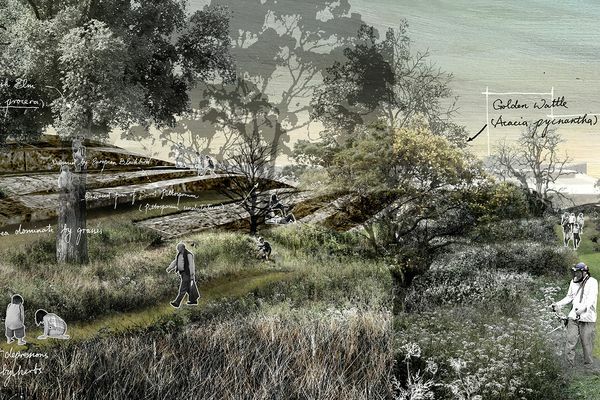 The project highlights the benefit of significant design team collaboration, successfully bringing together water sensitive urban design, new interconnecting civil infrastructure, environmental bio-retention and a local urban water re-use system. 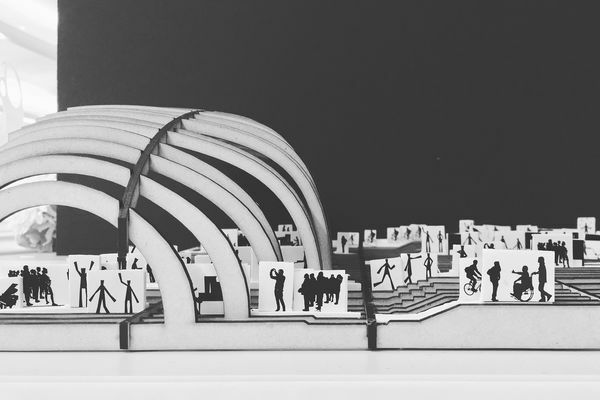 The design provides a bold, high-quality and conscientious enhancement of public space that is interconnected with the surrounding urban environment through water collection and re-use, connectivity and the provision of recreational space. This project exemplifies the urban design benefits that can be delivered from strategies such as Sustainable Sydney 2030 and the Sydney Green Grid. 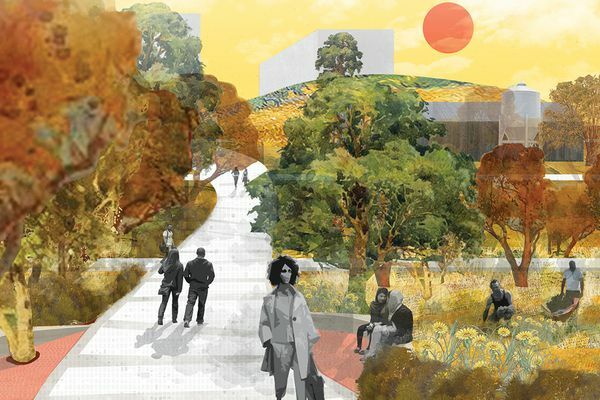 This project is a component of Sustainable Sydney 2030, harvesting stormwater from the Newtown catchment at the measure of 850 million litres per year. 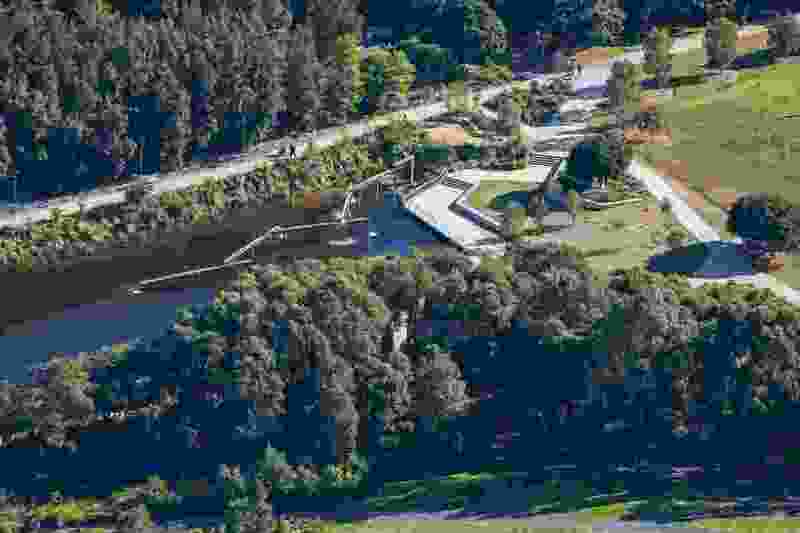 Water is captured, made good and returned viable through a dynamic, new waterscape; at all times connecting park users to the water narrative of capture, movement and cleansing. 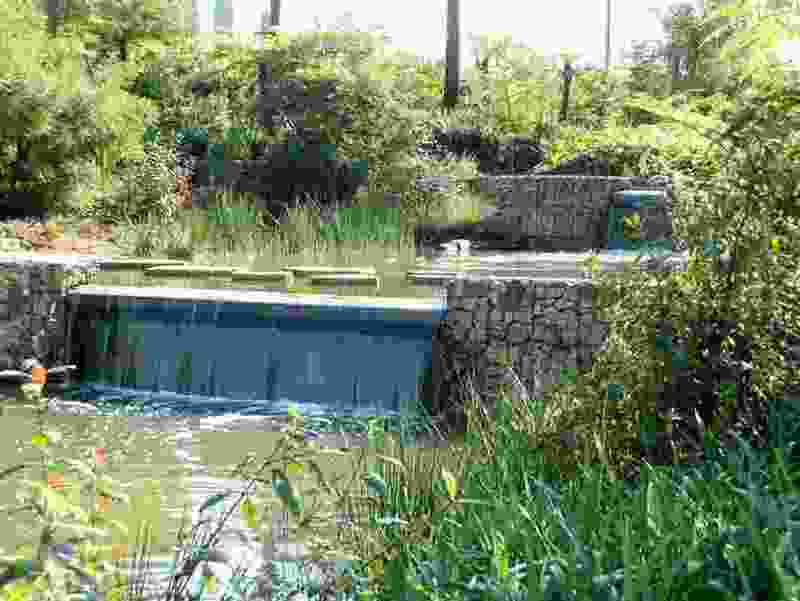 Built in partnership with the Australian Government through the National Urban Water and Desalination Plan the Sydney Park Water Re-Use Project is part of the City of Sydney’s Decentralised Water Master Plan (2012-2030), aimed at reducing the City’s potable water demand by 10% before 2030. 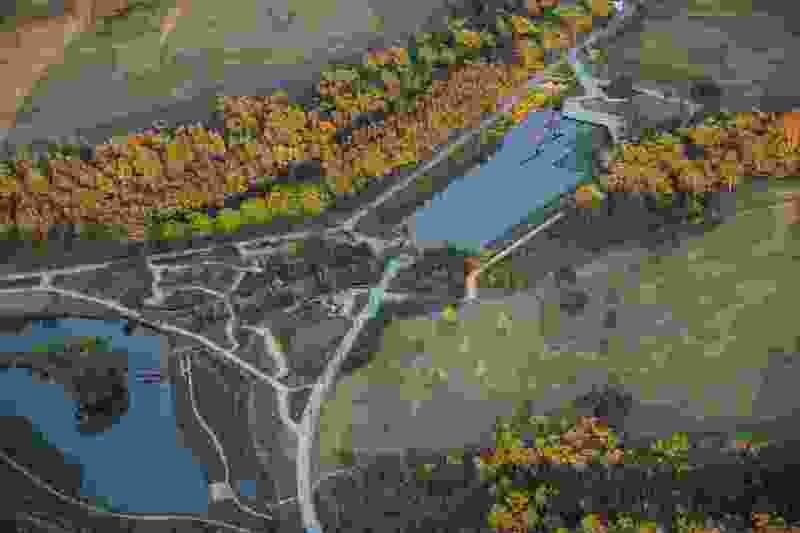 It is the city’s largest environmental project to date, and through its function and processes enables water to be harvested, made good and returned to viable use. 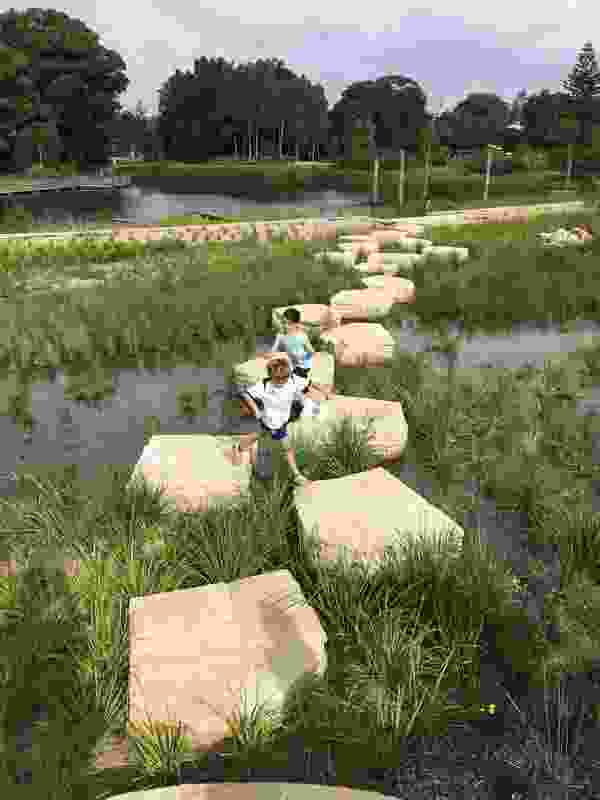 The project has provided enhanced circulation of water through the chain of ponds and wetlands, improving water quality, visual amenity and detention storage effectiveness. 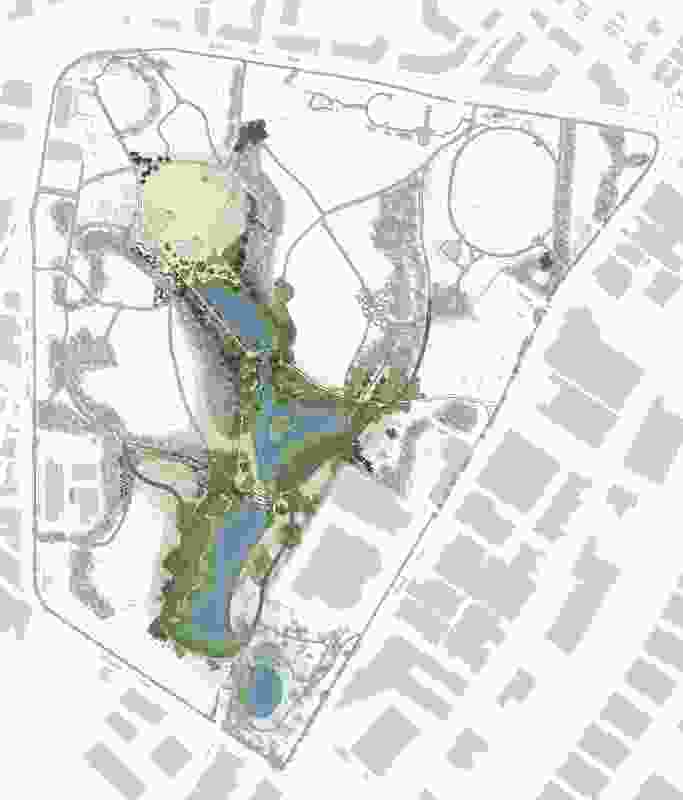 Read the review of Sydney Park by Ricky Ray Ricardo, associate editor of Landscape Architecture Australia.